“Brigit’s themes are health and inspiration. Her symbol is a cauldron. Brigit is an Irish Goddess known throughout Europe as ‘the Bright One’ because of Her inspiring beauty and fiery qualities. Today is Brigit’s festival in Ireland because it’s the traditional first day of spring there, when lingering winter shadows are banished by the sun’s radiance. Anyone desiring fertility, health or creativity should invoke Brigit’s blessings today, as the ancients did. Drink the broth to internalize inspiration. “Goddess Brigit is a beloved Celtic Goddess associated with Healing Waters, Wells and Springs. She is the Lady of the Sacred Flame, the Flame of Inspiration, the Flame of Creative Consciousness. Brigit is the “Bringer of Prosperity,” Goddess of Fertility, New Growth and Birth. 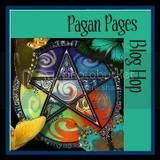 She is the Patroness of Poetry, Healing, Smithcraft, Midwifery and Animal Care & Breeding. Brigit is Warrior and Healer, Protectress and Goddess of Healing Grace. 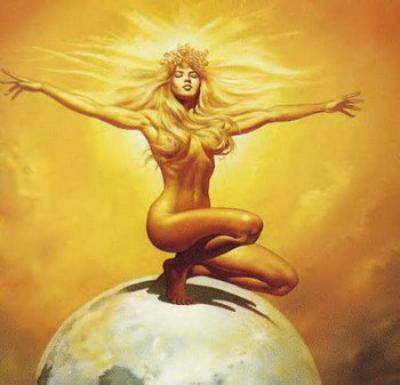 Brigit is said to have been born at the exact moment of day break, She rose with the sun, Her head radiant with rays of luminous light, associating Her with ascended awareness, enlightenment, new beginnings, sun beams and warmth. She is celebrated on Imbolc, falling on February 1 or 2, celebrating the return of the light and the coming of the spring. Thus Her solar aspects may also represent Brigit as the Promise of Spring, the Bringer of Light after the dark months of winter. This energy brings with it HOPE, renewed enthusiasm, renewal, and new beginnings. Brigit is considered a Triple Goddess, yet many references distinguish Brigit differently than the traditional Triple Goddess aspects of Maiden, Mother and Crone. Rather Brigit is frequently referenced having three sister selves with three distinct roles, Lady of Healing Waters, Goddess of the Sacred Flame and Goddess of the Fertile Earth. These roles are then multiplied through Brigit’s vast and varied responsibilities . . .
As a Fertility Goddess, a patroness of domestic animals and crops, Brigit is the Bringer of Prosperity through the abundance and wealth of the land. In addition to its healing associations, Brigit’s Green Mantle may also be associated with the green fertile earth, bringing the wealth of well being, and the remembrance of our own innate fertility to grow and prosper. A Goddess of Sovereignty, her Green Mantle may also represent the remembrance of our Sovereign Self, remembrance of our Divine Authentic Self. She is the Lady of Healing Waters, Wells and Springs; many wells in Ireland are dedicated to Brigit and the waters are believed to be blessed with the healing grace of the Lady. Combining the solar light of Brigit’s birth with her healing waters, the sparkling light dancing upon the water’s surface is believed to have spectacular healing attributes, especially healing for the eyes. Also associated with divination, Her wells may represent portals to portend the future, windows to glean helpful guidance and insight. Brigit is probably most frequently associated with Fire, She is the Lady of the Sacred Flame, the Eternal Flame of Life, the Flame of Inspiration, the Flame of our Creative Consciousness. This luminous, bright, fiery energy is the energy of creation, the creative power of our consciousness and the creative power of all that is. Her Sacred Flame brings inspiration and ignites our calling to create, illuminating our personal creative talents and gifts. From her Fire aspects, Brigit is also associated with the fire the forge and the fire of the hearth. Goddess of Smith Craft, she is patroness of metal workers and crafters of all kinds. Through the fire of the hearth, Brigit brings the blessings of warmth and light to the home. She is the Lady of Literature, the Goddess of Creative Expression; She is the Luminous Muse of the Poetic Voice. Brigit is the patroness of poets, writers and bards, lending grace and inspiration to creative writing. Aligned with the Divine Flame of Inspiration, Goddess Brigit is a magnificent muse, illuminating our natural and true state of inspiration, allowing for our creative energies to flow freely. We are empowered, motivated and inspired to create. With this energy we realize our innate and eternal connection to the Divine Universal Source, we realize our own Inner Light is illuminated Divine Essence. We remember that we are an aspect of the Eternal Flame of Inspiration and that we are always aligned with divine inspiration. Goddess Brigit inspires, empowers and encourages us to express our Truth through our purpose. She offers assistance in releasing and transcending fears; self-limiting patterns and unhealed energy, helping us to feel protected and supported through any and all aspects of self-expression and communication. This Celtic Queen of Creative Expression reminds us of the power we wield with our words and encourages us to utilize our Empowered Voice. When we use our Empowered Voice we align our words and thoughts with affirmative language. We ascend from the passive voice and align with firm, focused, decisive, empowered energy that carries a creative force channeled through all aspects of our communication. Whether through written word, verbal communication, song lyrics, poetry and/or through our thoughts, Brigit reminds us to align our language with the Empowered Voice, to wield the magic of our words with that which we desire to create, realize and experience. With this energy, Brigit reminds us of our True Power, with this remembrance we are able to recognize the tremendous creative essence of our Being. Brigit also supports and encourages us to Speak our Truth. Brigit explains that being able to speak our truth is a tremendous gift. When the power of our voice rings with the purity of our personal truth, the harmony of our Ascended Self is expressed. This expression wields such blessings of empowered grace, for the truth expressed resonates throughout our consciousness with a cohesive energy, raising the vibration and bringing into harmony the body, mind and spirit with the high vibration of our essential truth. From this expression of truth confidence is born, the strong and graceful confidence of our Higher Enlightened Self. From this place of empowered truth, confidence and grace, our experience is that of perfect peace, peace with our self and peace with all that is. A Goddess of Healing and Midwifery, Brigit lends healing grace within all aspects of health and healing, aids women and animals in childbirth and will also support the birthing process of our creative projects. In Her aspect of Warrior Goddess, Brigit is the Protecress of Her People, a devoted and steadfast guardian to all who would call upon Her. Brigit shields those who call upon Her from harm, being kept lovingly guarded within Her protective embrace. Within the cover of Brigit’s colossal cloak, we feel safe and supported; we transcend the fears founded within illusions of separateness and ascend within the illuminated essence of our True Essential Self. She is both a warrior and a healer, aligned with fire and water; Brigit helps us to honor our polarities, bringing balance within these polarities and utilizing the vast and infinite nature of our consciousness for the greatest benefit of the whole. Brigit’s name is said to mean “The Exalted One”, “The Bright One”, “Bright Arrow”, “The Powerful One”, and “The High One.” Known as a Great Mother Goddess of Ireland and also as a Saint, Brigit provides a beautiful bridge between beliefs and practices. With this energy, Brigit brings the remembrance of our Oneness and is an awesome affirmation of the Eternal Essence of the Divine Feminine. Some of Her symbols and correspondences include fire, sparks of fire, candles, forges, hearth, sunrise, sunbeams, springs and wells. Oak trees, acorns, lambs and ewes, dairy cows, milk, spears and arrows, snowdrops, blackberries, ivy, crocuses, clover, heliotrope, heather, and the colors green, white, black, red, and yellow, St. Brigit’s Cross, and Corn Dolls. For a collection of links to lore, books and jewelry related to the Goddess Brighid, I HIGHLY RECOMMEND visiting Brigid – Celtic Goddess and Saint. General: Fire (especially sparks, sudden flames), hearth, forge, light, candles, sunrise, springs and wells, poetry, whistling, embroidery, arrows, bells, thresholds and doorways, sandstone rock formations (i.e. large monoliths like those found at Stonehenge), St. Brigid’s cross, cloak, midwifery, middle of winter (Imbolc), corn dolls, and the number 19. Animals Associated with: White, Red-eared cow, lambs and ewes, dairy cows, bees, owls, serpents (especially two entwined), and all hibernating animals (i.e. snakes, badgers, grounhogs). Plants: Dandelion, snowdrop, crocus, trillium, acorns and oak tree, corn, oat, sage, pumpkin seeds, heather, chamomile, broom, shamrock, rushes, straw, and all field flowers. 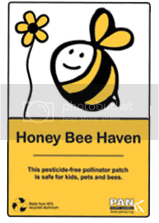 Perfumes/Scents: Heather, wisteria, violet, lavender, lemon verbena, and heliotrope. Gems and Metals: Gold, brass, silver, carnelian, agate, copper, amethyst, jasper, and rock crystals. Catsidhe, Grey. Ditzydruid.com, “Brighid: My Muse“. Monaghan, Patricia. 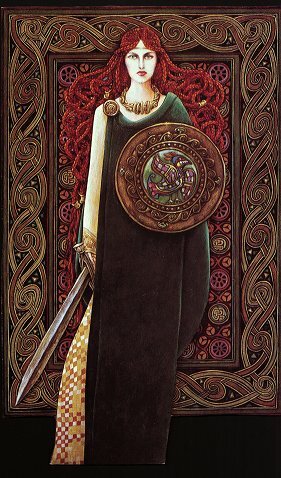 The New Book of Goddesses and Heroines, “Brigid“. Revel, Anita. 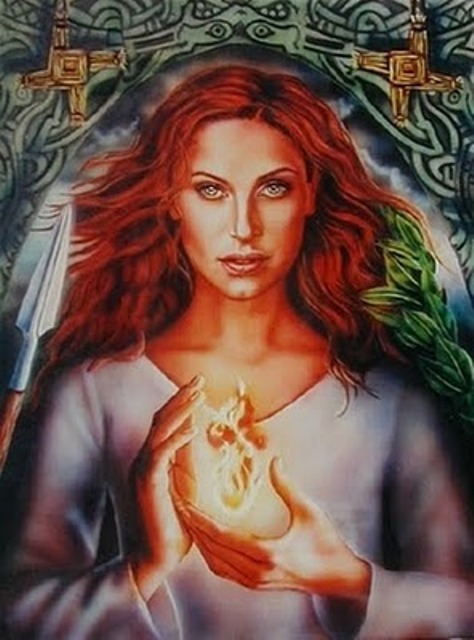 igoddess.com, “Brigid: ignite your passion – goddess of the flame“. Rhiannon. Faeryshaman.org, “BRIGID, BRIGHDE, BRIDE, BRIDEY, BRIGANTIA, BRIGANDU, BRIGGIDDA,BRIG, BRIGHID, BRIGIT, BRIDGE, BRIGITTE“. Shee-eire.com, “Celtic Goddess Brigit Datasheet“. So, here is a little video I put together earlier today in honor of Imbolc, but a few days away and of course, the Goddess Brighid; one of my most favorite and beloved Goddesses. The song in this video is set to “Bridget’s Song” by Celia and can be purchased at Celia Online. As it has always done, and will continue to do, the Wheel turns. Yule is over, the old year is dead and gone. Though you can’t see it, new life stirs. Of course, it may not feel like it in Upstate New York right now as I look out my window at all the snow coming down. But the days are growing noticeably longer and we know that change is taking place all around us, no matter how small. The Bright One is with us. You can’t help but feel Her presence and Her warmth – Her spark urging and drawing us to awaken from our midwinter slumber. Traditionally, Brighid presides over Imbolc and for good reason. She is the Maiden in which new life rejoices. We invite Brighid into our homes and lives to help us purify and clear out that which no serves us or is needed from the year prior with Her fire and watery aspects. We ask Her to assist us in divination at the crossroads so that we may know which direction or path to take in the hopes that our efforts will yield a successful and bountiful harvest in the year to come. We call upon Her as midwife to help us take the steps we need to take, no matter how small, to transform our hopes and that which we dreamed of during our long winter’s slumber into reality. As She did so delicately with me, She calls us to come forth and to seek healing if we need it; to guide us to those with warm hearts and strong hands to help us emerge from the winter within our souls and face the challenges and lessons that lie ahead. Ostara is a very powerful time to take the steps, whether physically, mentally or magically, to attune to the earth’s balancing energies and rebalance what needs balancing in your life. It is time to clean out (if we haven’t already started doing so) to make room for new growth and facilitate creativity. Also take this time to make ready your “tools” (magical and mundane) you’ll need and prepare the “seeds” (spiritual and physical) you plan sew so that they may have enough time to grow and properly come into bloom. I believe it wouldn’t be at all inappropriate to call upon Brighid during this time to lend Her assistance in our efforts as creativity and blacksmithing are both included in Her many fortes. Beltane is a time to revel in the creative heat of the Bel-fires that act as a catalyst for all kinds of sacred fertility and growth. The fires revitalize and renew us. The Goddess Brighid being a Goddess of forge-fires and the fire of inspiration was no stranger, I’m sure, to the fever-fire of passion. As such, Bel, Lugh or Oghma would make appropriate Consorts for Her if She so chooses. This sacred union between the God and Goddess is sacred to us because fertility is sacred. Without the sacred act of the union, there would be no fertility; there would be no life. I draw associations here between Brighid’s fiery and watery aspects and the need for balance between the hot, blazing and fiery sun and the need for cool, replenishing and healing water. We also observe the balance between light and the darkness, both in the physical world and within ourselves. Take the time to appreciate and love all the beauty and blessings that have blossomed in your life over the course of the year thus far. There is so much beauty not only in the world and in nature, but also within ourselves. Find it, find your confidence and love. Celebrate it, dance joyously in the sun’s warm and healing rays as this is one of the most cherished duties we have as children of the Goddess. What does that mean for us? No such great festivals bind us together today as they did thousands of years ago to promote survival. However, we can learn from them that connection is vital for a happy and complete life. Coming together for ritual confirms, builds and strengthens Community. This is also a good time to focus on preparing one’s family and home with some magic around the hearth and home. “Decide which events, goals or relationships no longer serve your highest and best, make preparations to remove them from your life.”  Throw symbols of them into Brighid’s fire. Now is also the time to finish long-standing projects by the fall. 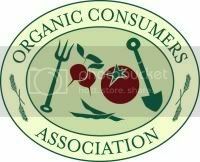 It would also be a good time to bless the tools of your trade in order to bring a richer harvest next year. Again, Brighid being a Hearth Goddess and Goddess of blacksmithing would be more than willing to lend Her assistance if asked in both of these tasks. The autumn is the season of death; it is a time of transformation. 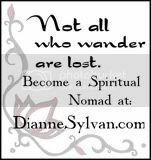 When things are stripped away from us or we feel the need to clean out that which is no longer needed, giving up old habits and attitudes that no longer fit us, we ask Brighid to help us understand the wisdom of transformation. She helps us when we seem to have nothing left or are in pain of loss. She helps us understand that when something is truly finished and no longer useful to our soul’s purpose, we can find ourselves happy at the change. We are renewed. This is the hope hidden within the apparent darkness of transformation. The veil between the worlds is at it’s thinnest, as it was at Beltane. This is a time to remember and honor all who have crossed over and all that has died. We recall with a sharp pang of memory, the loves so full of promise, the ideas that seemed to gleam, the plans that called to us. We move on, eventually past broken hearts and shattered dreams, stronger for the losses we have endured. But to live most fully, we must make time to grieve the pain of these losses, to give time to the sorrows as well as the joys of life. This is a time that we turn to Brighid to light our way through the darkness to receive warmth and healing at Her hearth. We become still and quiet to acquire or gain any wisdom and knowledge that She has to bestow. We watch as she works and hammers away deep in Her forges, shaping and tempering strong tools from crude metal, transformed by fire and water. The Wheel turns to Yule. The cold and darkness of winter has been long and hard. The daylight does not seem to diminish or grow as though at a standstill. We seem to be holding our breath, waiting for change. The soul holds still like this, just before great change occurs. It is a silence so profound that it seems as though time has stopped. In this magical moment, we have the chance to set in motion great changes, great happenings. This is the moment when the seeds of new life, new growth, must be planted. How we yearn for the light in the dark times of winter. Even knowing how important rest is to ourselves and to our planet, how happily we greet the dawn and the spring! Brighid’s flame shines like the flame of a new light and it pierces the darkness and shines into our spirits. Even to this day, we celebrate, laugh and tell stories and seek out companionship during the darkness of winter. Mythically, our role in the cosmic drama is important, for without laughter the sun will not return. So in this dark time, let us all laugh as loudly and as long as possible. For as the ancients knew, the worst is over and we will survive…just to do it all again next year!